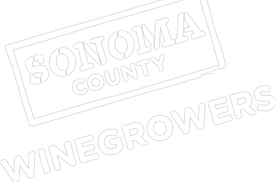 The Sonoma County Winegrowers is presenting a Cal/OSHA Night Work and Night Harvest Safety Training workshop on Thursday, August 1, from 3:00-5:00pm. The meeting has moved to the Ag Commissioner’s conference room at 133 Aviation Boulevard, Suite 110, Santa Rosa, CA 95403. Please see the map attached. For those heading North on Hwy 101, take the Fulton Road exit and turn left onto Airport. Then another left on Aviation. This is the same training that will be offered in Spanish on August 3. Handouts will be presented. RSVP by July 29. There is no cost to attend and seating is limited. Marin and Sonoma county grape growers will have first priority in seating. Various agencies and private groups are looking for night work violations in vineyards. This includes work for irrigation, frost protection and spraying. During the 2012 Sonoma County harvest, some growers learned an expensive lesson that their night harvest safety and lighting methods were not current with Cal/OSHA standards. This pre-harvest workshop will discuss Cal/OSHA requirements to be in compliance during night harvesting and other nighttime cultural duties. Discussion includes night lighting requirements and personal protective gear. Don’t be caught with the wrong lighting! RSVP by July 29. Fax to 707-522-5866 or email to [email protected]. Contact Karen if you have questions (707-522-5862 or [email protected]).